A leading CPA firm trusted by healthcare professionals nationally. Over 90% of our clients are in healthcare... Supporting healthcare is what we do! At a time when providing the best care, at the appropriate facility, during the correct time and for the lowest cost, is paramount, MDcpas wants to help you by adding value and providing the highest quality of medical practice accounting services to your practice. Essentially, we want to be your guide to financial success. At MDcpas, we want you to focus on your patients to achieve healthcare’s triple aim. You can do that more effectively when your business has solid financial health. Every practice and every client is unique. We are passionate to learn about you so we can help you achieve your goals. Each practice that we support provides care to a community of patients. We get great professional satisfaction knowing that we are making a difference. MDcpas is proud that our clients refer to us as “financial-care” providers. MDcpas is confident that you will benefit from our triple aim. The professionals at MDcpas have diverse expertise supporting physicians, healthcare practices, health-related businesses, dental practices, the pharmaceutical industry, medical device manufacturers, medical wholesalers, the biotechnology industry, life sciences and clinical research companies. Our services include medical practice accounting, financial planning for physicians, financial planning for dentists, retirement plans for doctors, retirement plans for dentists, estate planning for doctors and denists, and healthcare mergers and acquisitions. We are also business valuation advisors. 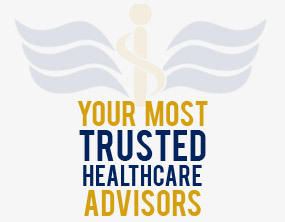 MDcpas – your preferred healthcare consulting firm. Contact us to learn the pros and cons for medical and dental professionals under the Tax Cuts & Jobs Act. We serve the communities of Manhattan, New Hyde Park, Manhasset, Hauppauge, Syosset, New York and nearby areas.